The CCC will be hosting a Community-Based Collaborative Conservation Workshop at CSU on February 28th through March 2nd, 2018. 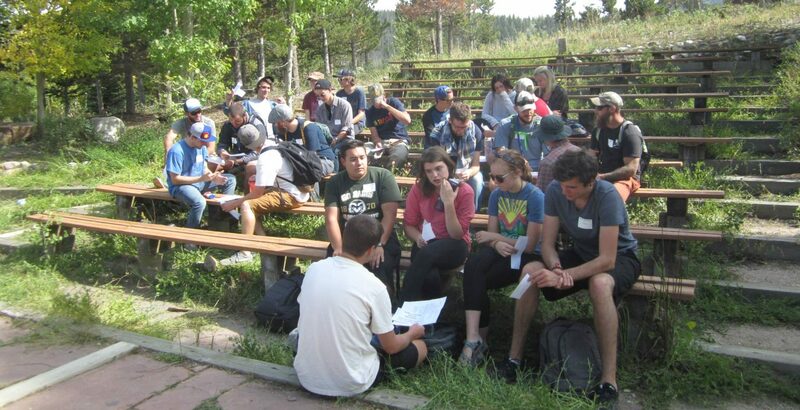 This workshop emerged from a growing recognition that community-based collaborative conservation (CBCC) is an effective approach to solving some of the most complex natural resource issues in the Rocky Mountain region. The workshop will build on a needs assessment conducted by the CCC in 2016/2017. The needs assessment identified the most needed collaborative skills and tools, methods, audiences, and challenges for building capacity among CBCC practitioners. Over sixty practitioners are being invited to come together and build the collaborative capacity of practitioners across the Rocky Mountains. The workshop will be highly interactive, participants will work in small teams supported by trained breakout group facilitators, and supported by lead facilitators Matt McKinney and Shawn Johnson from the University of Montana’s Center for Natural Resources & Environmental Policy.